With an ageing population it stands to reason that people are working longer and many chose to the work longer past the current pensionable age of 65. 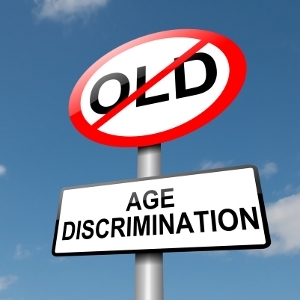 The age discrimination Regulations will protect people against age discrimination in recruitment, employment, clubs and associations, voluntary work and the provision of goods and services. The law also provides some sensible exceptions for situations where age discrimination would generally be accepted as fair, for example discounts to people of certain age groups and allowing shops to ask for proof of age when selling age-restricted goods. The most complex issue has been retirement. Initially, the Regulations will allow an employer to continue requiring employees to retire at pensionable age (or later) without facing an age discrimination complaint. However, from September 2018, employers will have to justify their need for employees – of any age - to retire. According to Law at Work, the current proposal is more favourable to employers and less flexible for employees. Employers can lawfully retire employees at pensionable age (or higher) in the knowledge that they will not face a claim of age discrimination. However, if an employer wanted to retire an employee pre-pensionable age, they would have to justify their decision. This can operate to allow those wanting to work beyond a low retirement age (of say 55 or 60) to do so. This removes barriers to work by allowing all working people to remain in full employment but only up until pensionable age. “There’s a balance to be struck between certainty and flexibility. Employers will need time to adjust to justifying any retirement but we must strive to meet the strategic aims of the Council of Ministers - to remove barriers to employment and increase participation for people who want to work beyond retirement age". Employers will have to take extra care and exercise due diligence when it comes to recruitment advertising. An employer can't ask for a certain number of years experience unless they can show it's relevant for the job. When advertising a job role, employers can’t include age limits, and should avoid using words which could suggest they are looking for applicants from a particular age group. For example, by using terms such as ‘10 years’ experience’, ‘enthusiastic young people’ or ‘recent graduates’. They can ask for your date of birth – for example, to check you are over 18 if necessary, or to see whether they are attracting a wide range of candidates – but they should keep this separate from the application and must not use it as a deciding factor in whether to give you the job.